This is My Labor of Love Story for something I am participating in through The Mommy Panel at the Grant life. I never know where to start with a story as no matter when you start it really already began somewhere else. Do I go back to grade school when my uncle made my now husband sleep in another room. When I was 11 and my friend told me he is stuck up and acts like he is better than everyone? In 6th grade I was searching the ground for his tooth with his mother at the school. I am still helping him find his stuff when he loses it after all these years. Who would have thought? Maybe start it when he was sitting at the end of the bar when I was 20 something and I thought yeah he is just as arrogant as ever. Let me start with him sitting in med hold waiting for a deployment which he was unable to go on due to an Injury, Us chatting on the net and him at my house winter of 2006 as my recent ex boyfriend Drove by my window… Yes I said window… across my yard. Feb 2008 at Zane and Alex’s school he went in his uniform and talked to the kids. Alex had to drop out as his dad would not let him go on his day. School wanted more of a commitment to leave a spot open for him. 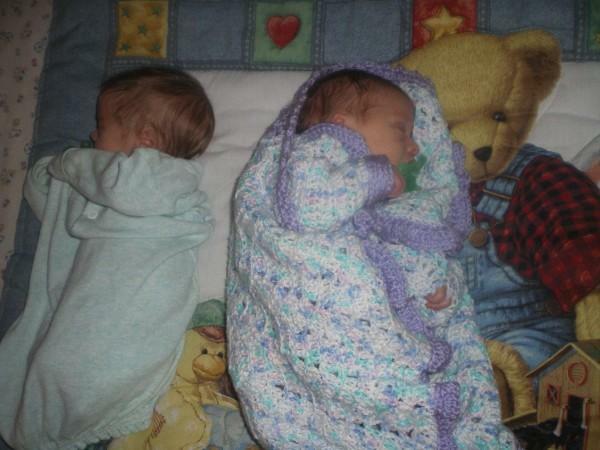 December 2008 we found out I was pregnant for Twins. I already had 5 children from my first marriage. Would not have been with him if I could not have his children as I was not sure I could have anymore. He signed up for another deployment that was to leave on mother’s day. We threw a wedding together in a month. May 2nd 2009 we were married. He left for his deployment on May 9th 2009. If you know about deployment you know they get a 4 day leave right before final deployment his was scheduled for June 25th to Monday June 29th 2009. May 7th 2009 Mr & Mrs getting ready to go take him to drop him off for deployment. Since I had moved into a new house on May 1st and he was unable to help me with all the unpacking before leaving, through all that work and taking care of the other 5 children I had lots to do. It was hard with me being Pregnant for Twins. I realize that in his mind he was volunteering to benefit his family but I often resented him for leaving me with all that responsibility. 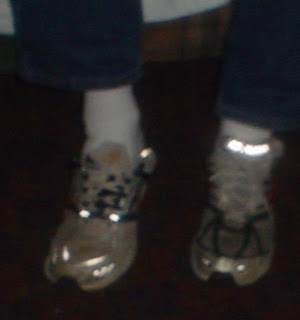 That along with the hot sun swollen ankles I could not even stand to work no more to get ready for his leave by Wednesday the 24th. I was finally exhausted and had to sit for the day with my feet up. On Thursday June 25th I told him I loved him good bye and I would see him when he got home for his leave. He got dropped off at the airport in Seattle and headed to a straight flight to Chicago that he would then catch a plane to Michigan. So I was busy trying to get the house in order for his short weekend he would get with us as it was still not totally unpacked and in order. I Went next door to my dad’s for a few. I told him I needed to borrow some cleaner so I could finish up before Jim got home and I went to look for some I thought I left in the bathroom. When I bent down I felt something wet. I walked out where my brother was typing on the net and said “Either I Just peed my pants or my water broke.” My brother’s look went funny and said “Ughhhhhh…” As I sat in my dad’s chair I said...”Ugh Yeah! It’s my water.” My brother immediately says I don’t know what to do what do I do miss?” Watch my kids so Dad and his GF at the time can take me to the hospital. So we get into her really nice newer truck and I ask for a towel incase I leak all over. I still was not sure that I had not peed myself.” I asked if my dad was sure he did not want front as I was used to sitting in back for adults. Yeah I was 30 something but still. SO all the way there I was still not sure. While in the labor room I was unable to see the birth and I was unable to totally see my babies across the room. I know I did not hear James Cry and I was worried. I remember asking why he isn’t crying. Roxanne said he was I just could not hear him. So When I tried to see my babies I could not so I told Roxanne to take a picture of them and this was the one she took. This is the first glimpse I had of my babies. This is also the first my husband seen of them along with a video that was emailed to him while he sat at a Chicago airport. 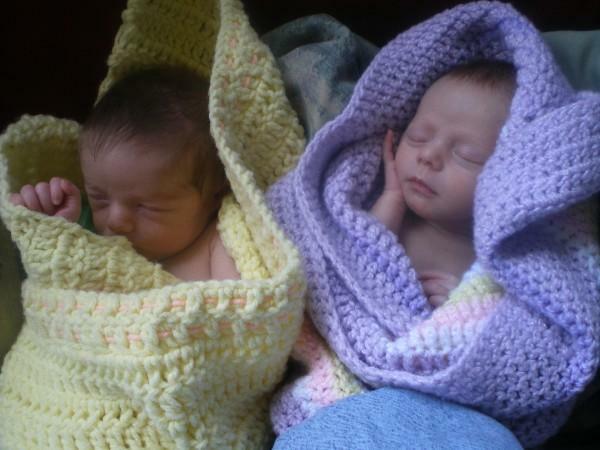 June 26 2009 this is the first glimpse that I and Jim had of the babies as it was the same picture roxan showed them to me in. Once they were born and in recovery I was in and out trying to stay awake all day waiting for my husband who never showed up until 5 pm Friday. The babies were fine and even had good apgar scores which I forgot now. It was amazing to me that they were able to go home on Sunday so we could spend time with Jim for one day before he had to go back. His mom was over bright and early like 8 am to make it so he could go back by noon or 1 to his flight in Grand Rapids. Wasted hours that we could have spent together going way too early and that was the last time I let her choose timing like that. We talked over baby names in the car on the way to the airport. They were named finally at the airport which was where I let Jim know that we would be naming our Son James II. I had planned on it but I did not tell him as I wanted it to be a surprise and it was. That was back when I still had some control over things. Ha Ha! So off to Iraq Jim went that day for a year after only seeing the babies for 2 days and missing the birth. That is the sacrifices military families make. A year later when he returned medically discharged it started our life new and we still don’t have plans figured out. One day at a time I guess. We did add another baby since then too! That is another story. I have many. 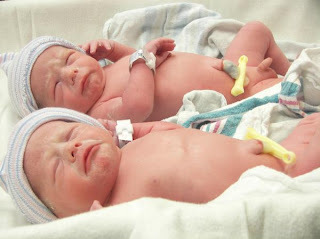 Oh yeah the babies were 4 pounds 11 and 2 ounces. I am sorry if this story was a little thrown together I had not realized it was my day til the other day.